Home » » Senate Summons Minister Of State For Transportation (Aviation) As Ashafa Clamours For Safety In The Aviation Sector. Senate Summons Minister Of State For Transportation (Aviation) As Ashafa Clamours For Safety In The Aviation Sector. The Senate today, Tuesday, 6th of March 2018 summoned the Minister of State for Transportation (Aviation) Sen. Hadi Sirika, to appear before the Senate to give a full briefing on the steps being taken to minimize human errors and avoid preventable air crashes in the Aviation Industry. This resolution was made following a motioned sponsored by The Senator representing Lagos East in the Senate, Senator Gbenga Ashafa titled “The need to minimize the possibility of Air Mishaps and near Fatalities in Nigeria”. Citing recent air mishaps in the aviation industry, Ashafa expressed his concern over repeated the increased occurrences of mishaps in the aviation sector. He further stated that these recent occurrences might be a sign of a sequence of human errors, caused by the failure of officials and staff of the agencies saddled with the responsibility of guaranteeing safety to carry out their due diligence before issuing clearance for aircrafts to operate within the Nigerian airspace. In conclusion he said “it is against this backdrop that it has now become imperative to move with speed and alacrity in order to ensure that all relevant agencies in the Aviation industry do their work with excellence and minimal human error in order to prevent avoidable loss of human lives. The motion which was well received by the Senate witnessed several contributions from Senators who expressed their displeasure at the state of things in the Aviation industry. Some Senators further shared their personal unpleasant experiences during their travels in Nigeria commercial airplanes. 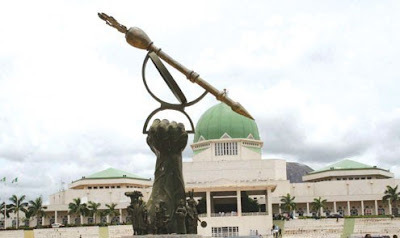 Senators who contributed to the Motion were Senators Stella Odua, Abdulfatai Buhari, Chukwuka Utazi, James Manager, Jibrin Barau, Mao Ohuabunwa, Obinna Ogba, Aliyu Sabi just amongst others. In her contribution, the former Minister for Aviation, Princess Stella Oduah was of the opinion that “the Aviation ministry is the most regulated ministry in Nigeria. However, the responsibility lies mostly with the pilot.”, while Aliyu Sabi, the Senate Spokesperson was of the opinion that a state of emergency be declared on airports across the country. The senate which was presided over by the Deputy Senate President, Senator Ike Ekweremade, after deliberations resolved to invite the Minister of State for Transportation (Aviation), Senator Hadi Sirika to appear before the Senate to give a full briefing on the steps being taken to minimize human errors and avoid preventable air crashes in the Aviation Industry and further urged the Honourable Minister of State for Transportation (Aviation) to immediately direct all relevant agencies in the aviation industry to conduct a maintenance and airworthiness audit on all commercial aircraft operating within the Nigerian Airspace.